I found this darling character story quite refreshing in the shadow of so many ‘deep-meaning’ picture books which I’ve read recently. 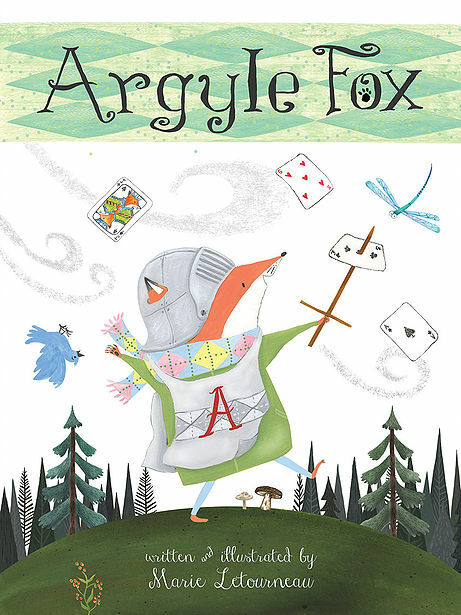 The story is about little Argyle Fox who goes out to play on a windy day. Unfortunately for Argyle, his choices don’t work successfully in the wind. Building a house of cards, a spider web, a pirates’ costume, and soccer, all fail miserably. It’s Argyle’s Mom who prompts him to “think for a while” and figure out something that might work with the wind. Spoiler alert, (but it isn’t an enormous surprise) Argyle makes a kite. 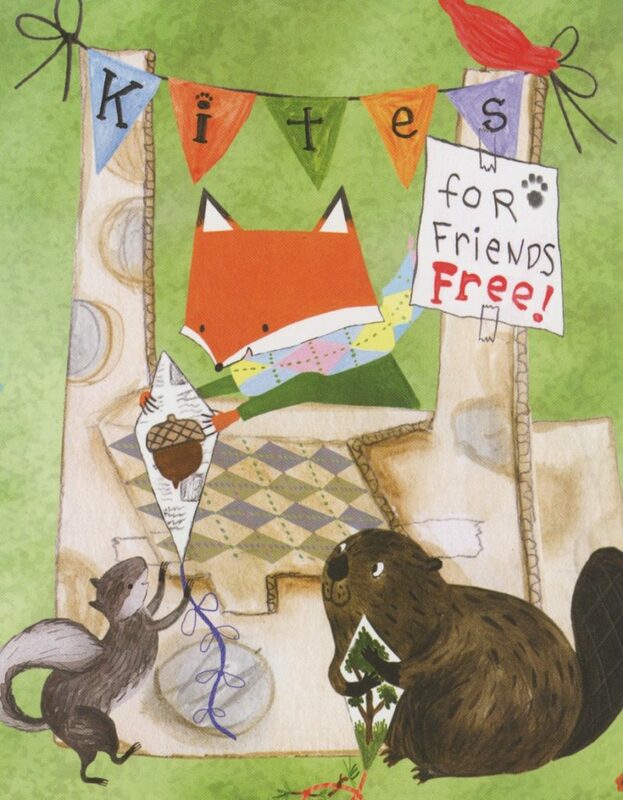 The sweet ending illustration shows him making kites for all his friends. Argyle Fox made me smile. There is an honest simplicity to both the story and the illustrations that I found very endearing. 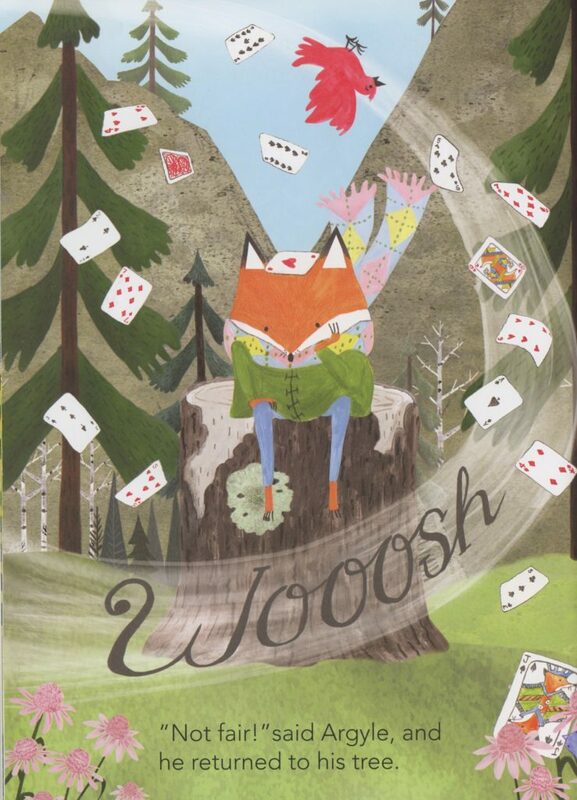 It’s a terrific read-aloud with the “Wooosh” of the wind wreaking havoc time and time again and providing fun page turn. The straightforward message of problem solving and perseverance is important and clear in this whimsical tale. 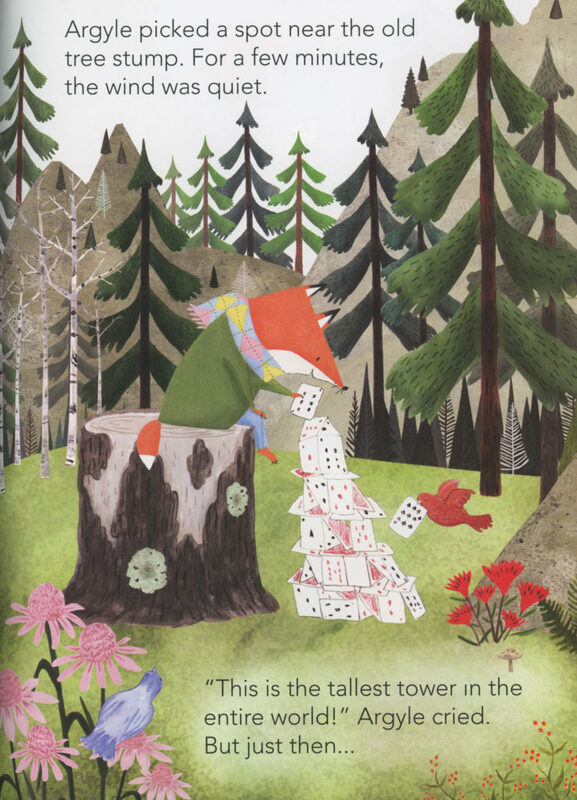 There are lots and lots of clever details in all the illustrations that really bring Argyle and his woodland world to life. Something about it feels nostalgic to me. Like a picture book that I can appreciate technically as an adult, but would have really enjoyed as a child. Argyle Fox, Jennifer Black Reinhardt, Marie Letourneau. Bookmark. It is charming! 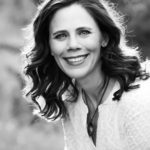 Thank you, Tammi! 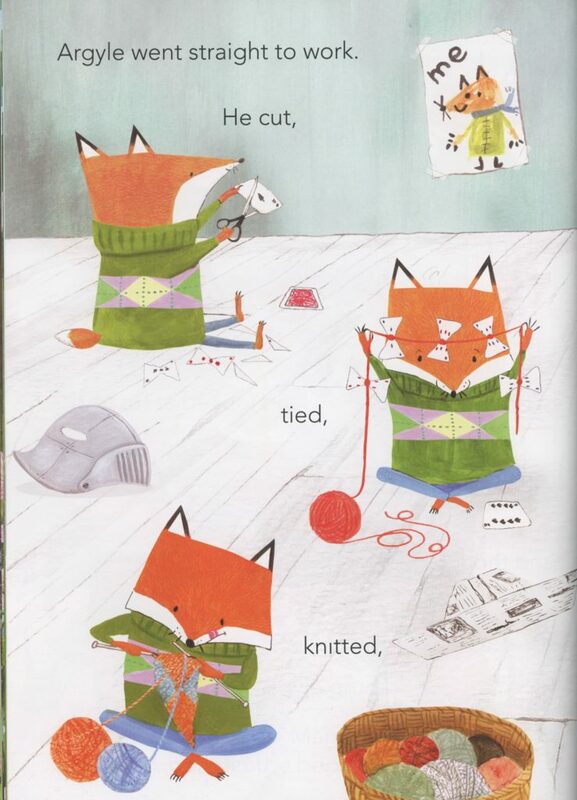 I love the simplicity, and the illustrations are wonderful! Thanks for sharing. You’re very welcome, Lisa! Thank you so much for visiting our blog! Thank you for making me laugh, Brian! And for visiting PBB today! Adorable! I’ll be on the lookout for this one. Thanks for sharing! 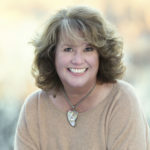 Thanks, Lori, hope you enjoy the book! This looks adorable & perfect for kids, and adults, who have to think outside the box when weather interferes with play. Definitely, Patricia! Creative problem solving and perseverance. I could use some of that on this icy, gray day! Thank you! I’d love to read this aloud to a group of kids! I think the predictable “Woooosh” of the wind would be fun! Thank you, Kathy! Thank you, Jennifer! I just came back from visiting Joshua Tree National Park (yes, it’s open, but a skeleton crew of devoted rangers are holding down the fort, so to speak) where the wind blew fiercely as we trudged along one of the long trails. I came upon a young couple with their toddler in tow. They tried to hurry her along, but she decided to sit down in the middle of the trail and dig through the sand. Surely, there was something shiny to be found! And there was no wind in her world in that moment. She and Argyle would make great friends! I can’t wait to see this book! I’m so glad that you were able to visit the park, Anne. Thank you for sharing your story about the little girl in the sand. I agree, she and Argyle would have fun together! Thank you for visiting PBB and taking the time to comment! Indeed, Lori! Thank you for visiting and commenting! I’m currently loving fox characters! Adorable! I want to read this one! Thanks for sharing! This looks wonderful. I look forward to seeing more. This makes me want to wear argyle! Lovely post about a lovely book.